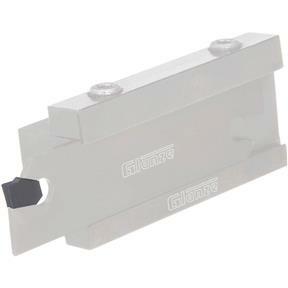 Carbide Insert for T10012 parting tool has a 3/32" cutting width. Insert sold separately. Item as described. Some reviewers said it didn't fit their tool holder, but the insert fit my holder fine. flush on the bottom surface. I got other inserts from another supplier ( MSC ) that fit perfectly.